Welcome to the month of November. Tuesday is the city and several school district Bond or Override Elections. Please walk in your un-mailed early ballot or mark a ballot at your designated precinct station. Details on the City of Scottsdale Bond Projects are at this website http://www.scottsdaleaz.gov/2015-bond. Don’t miss next Saturday on your calendar as it is an event-filled day in the city. See the details below. Members of the Cowboy Artists organization will provide painting and sculpture demonstrations. 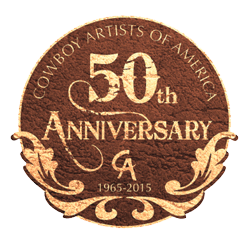 Sixteen of the Cowboy Artists will autograph copies of B. Byron Price’s commemorative book The Sons of Charlie Russell: Celebrating 50 Years of the Cowboy Artists of America. The exhibition is included with museum admission and is free to museum members. Adults $13 Seniors $11 Students $8 Under 5 yrs old free. Annual Memberships are great bargains at $25 Students and Seniors 65 yrs plus, Contributing $125 and Sustaining member $500. Grand Prix of Scottsdale Vintage Race Karts Saturday the 7th from 8 am to 6 pm. Several streets north of Indian School Road and west of Scottsdale Road will be closed beginning Friday evening at 9 pm and until Sunday, November 8th. On Saturday the vintage cars will race at a top speed of 30 mph throughout the day. See the event schedule at this link www.grandprixScottsdale.com There will be amplified outdoor music, food, retail sales and liquor sales. Although the applicant failed on page 3 to mark “all events on city property....”, it will use Marshall Way bridge, Marshall Way, section of 5th Avenue, Craftsman’s Court, 3rd Avenue, Goldwater Blvd and Soleri. The city fee for this usage is $87 nonrefundable Submittal Fee and $159 total for the use of public property. This link is their Special Events Application. http://eservices.scottsdaleaz.gov/planning/projectsummary/applicant_submittals/ProjInfo_115_SE_2015.pdf They contacted 128 area businesses and only 6 had concerns about the event—parking. Event contact is Sean Gillespie 480 652 1538 if you have questions. Wednesday, Nov 11th from 8:45 am to 9:30 am, the Downtown Merchants’ will meet with Transportation Director, Paul Basha. COGS has been contacted by several Downtown merchants and property owners concerned that at a recent presentation of the Transportation Master Plan, that draft included narrowing Scottsdale Road to one southbound and one northbound lane from Camelback Road to 3rd Street. There are approximately 38 to 40 acres of retail shopping area south of Camelback Road yet according to the callers, there was never a working group representing the Downtown or representatives from the mature areas included in this Scottsdale Road plan. There are approximately 40 to 50 lots in the Original Old Town with the value of at least $1 million per lot. They feel strongly that this kind of impact on their land and business investment deserves to be heard as part of the planning and not as an announcement in an already written Master Plan draft. You may review the entire Transportation Master Plan draft at this link. http://www.scottsdaleaz.gov/news/transportation-masterplan-update-continues_s4_p21392 Ask questions, provide comments at the website or contact pbasha@scottsdaleaz.gov or call Paul Basha 480 312 7651 The final recommendations go to city council in December 2015. Send your E mail to all of city council at citycouncil@scottsdaleaz.gov . Is COGS going to recommend a YES or NO vote on the city Bond Election? As Tuesday election day nears we get this question more often. The answer is No. We have a broad and diverse membership as well as a large COGS E-Newsletter readership. Our role is to provide links to the facts, encourage forum attendance and to report the positions expressed by the participants. Our members and readers are intelligent and critical thinkers. They will make informed decisions on the city election as well as the multiple school-related bond/override elections. Our individual COGS Board of Directors are free to express their own opinion on election matters as long as it is clear that he/she is not speaking for The Coalition of Greater Scottsdale.